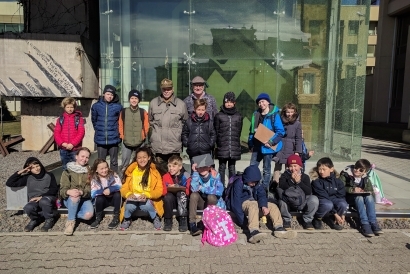 On a beautiful Friday, Grade 4 students set off on an all-day tour of Lithuania's sites of importance to the restoration of the Lithuanian state. 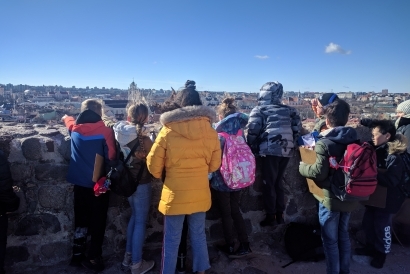 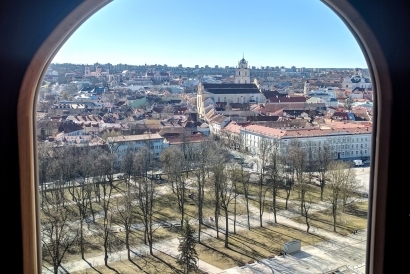 Students had a chance to visit Gediminas Tower, Cathedral Square, Seimas, and the TV Tower. 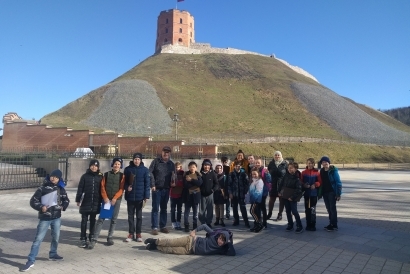 At the sites, students heard various stories of Lithuania's fight for freedom through peaceful protests. 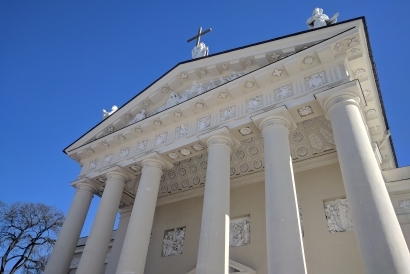 Students were honored to listen to stories from Mr. Rimvydas Mintautas, defender of Seimas in 1991 January 13th. 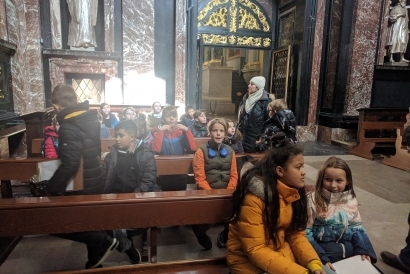 Many thanks to Ms. Asta who organized the excellent tour and provided interesting facts along the way, and also to Ms. Agneta for her student support and for the most wonderful photos.